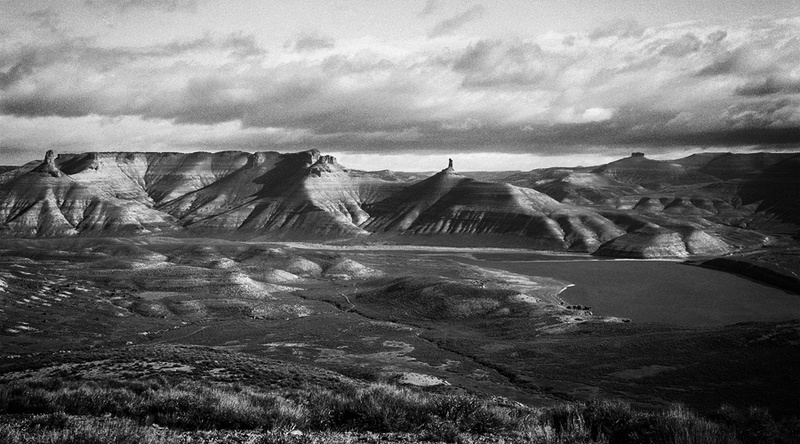 Flaming Gorge, Utah, down river from the starting place for John Wesley Powells 1869 Grand Canyon expedition. Infinite landscape… I love the compos and the format, the grain too! I like the treatment used here it's a grand view! Love the light and feeling of distance. What a great name, Flaming Gorge!! Such interesting formations and a great capture. Beautiful photography, the process is beautiful, a great job. Excellent in black and white – with the nice grainy sky ! a beautiful vista and the grainy darkening sky is lovely. to quote a line from a Gregory Peck movie … It's A Big Country! I imagine the surface of Mars could be like this. Well except for the grass. Amazing shot. could be an anseln adams! such a beautiful landscape ! gives the feel of the size of the mountain range. great landscape. Stunning landscape shot, I m sure the color version of this will be equally breathtaking. Beautiful look! I could see that one framed! Spectacular landscape ! I think i'm going to plan a trip in Utah. Beautiful landscape with fantastic processing. It looks almost like a painting. Very nice landscape. The grain was obtained from processing, or from the original shot? Impressive and stunning landscape image Will. Perfectly captured, beautiful and perfect layers. what a magnificent scene you've captured.